The following data protection declaration applies to the use of our website including the online offer contained therein at www.serva.de (hereinafter "website") as well as general data processing for business contacts..
We attach great importance to data protection. Your personal data is collected and processed in compliance with the applicable data protection regulations, in particular the European Union’s Generel Data Protection Regulation (GDPR). We also use persistent cookies (also small text files that are stored on your terminal device) to a small extent, which remain on your terminal device and enable us to recognize your browser the next time you visit our website. These cookies are stored on your hard disk and are deleted automatically after the specified time. Their life span is 1 month to 10 years. This enables us to present our services to you in a more user-friendly, effective and secure manner and, for example, to display information on the site that is specifically tailored to your interests. You can create a user account on our website. If you wish, we need the personal data requested during login. When logging in later, only your e-mail or user name and the password you have chosen are required. The legal basis for the processing of these data is your consent pursuant to Art. 6 para. 1 sentence 1 a) GDPR. To register for the newsletter, the data requested in the registration process is required. The registration for the newsletter is logged. After registering, you will receive a message at the e-mail address provided asking you to confirm your registration ("double opt-in"). This is necessary to prevent third parties from registering with your e-mail address. The legal basis for sending the newsletter is your consent in accordance with Art. 6 para. 1 sentence 1 a) in connection with Art. 7 GDPR in conjunction with § 7 para. 2 no. 3 UWG. The legal basis for logging the registration is our legitimate interest in proving that the dispatch was carried out with your consent. You can cancel your registration at any time without incurring any costs other than the transmission costs according to the basic rates. A message in text form to the contact data (e.g. e-mail, fax, letter) mentioned under point 1 is sufficient for this. Of course you will also find an unsubscribe link in every newsletter. The legal basis for this is the legal permission according to Art. 6 para. 1 sentence 1 f) GDPR in conjunction with § 7 para. 3 UWG. We will only process further personal data if you give your consent (Art. 6 para. 1 sentence 1 a) GDPR or if we have a legitimate interest in processing your data (Art. 6 para. 1 sentence 1 f) GDPR. For example, there is a legitimate interest in replying to your e-mail. The data generated with etracker is processed and stored by etracker solely in Germany by commission of the provider of this website and is thus subject to strict German and European data protection laws and standards. In this regard, etracker was checked, certified and awarded with the ePrivacyseal data protection seal of quality (https://www.eprivacy.eu/kunden/vergebene-siegel/firma/etracker-gmbh/). Further information on data protection with etracker can be found here: https://www.etracker.com/datenschutz/. On our website we use components (videos) from YouTube, LLC 901 Cherry Ave, 94066 San Bruno, CA, USA, a company of Google Inc, Amphitheatre Parkway, Mountain View, CA 94043, USA. Here we use the option "extended data protection mode" provided by YouTube. When you access a page that has an embedded video, it connects to the YouTube servers and displays the content on the website by notifying your browser. According to YouTube, only data is transmitted to the YouTube server in "extended data protection mode", especially which of our websites you have visited when you watch the video. If you are logged in to YouTube at the same time, this information will be associated with your YouTube account. You can prevent this by logging out of your member account before visiting our website. For more information about YouTube's privacy practices, visit the following link: https://www.google.de/intl/de/policies/privacy/. We also use the Google advertising tool "Google-Adwords" to promote our website. In this context we use the analysis service "Conversion-Tracking" of the company Google Inc. "("Google"). If you accessed our website via a Google ad, a cookie is stored on your computer. Cookies are small text files that your Internet browser stores on your computer. These so-called "conversion cookies" lose their validity after 30 days and do not serve your personal identification. If you visit certain pages of our website and the cookie has not yet expired, we and Google may recognize that you as a user have clicked on one of our ads placed on Google and have been redirected to our page. The information collected with the help of the "conversion cookies" is used by Google to generate visit statistics for our website. These statistics show us the total number of users who clicked on our ad and also which pages of our website were subsequently accessed by the respective user. However, we or others who advertise via "Google-Adwords" do not receive any information with which users can be personally identified. You can prevent the installation of "conversion cookies" by making the appropriate settings in your browser, such as browser settings that generally deactivate the automatic setting of cookies or specifically only block cookies from the "googleadservices.com" domain. You can obtain the relevant data protection declaration from Google under the following link: https://www.google.de/policies/privacy/. Fulfilment of commercial, tax and professional retention periods. The periods for storage and documentation specified there are two to ten years. Preservation of evidence under the statute of limitations. According to §§ 195 ff. of the German Civil Code (BGB), these limitation periods can be up to 30 years, whereby the regular limitation period is three years. the existence of automated decision making including profiling in accordance with Art. 22 para. 1 and 4 GDPR and - at least in these cases - meaningful information about the logic involved and the scope and intended effects of such processing for you. you withdraw your consent, on which the processing was based pursuant to Art. 6 para. 1 sentence 1 a) GDPR or Art. 9 para. 2 a) GDPR, and there is no other legal basis for the processing. you file an objection to the processing pursuant to Art. 21 para. 1 GDPR and there are no overriding legitimate grounds for the processing, or you file an objection to the processing pursuant to Art. 21 para. 2 GDPR. you have filed an objection against the processing pursuant to Art. 21 para. 1 GDPR, as long as it is not yet clear whether the justified reasons of our company outweigh yours. If you have any questions or concerns, please contact our data protection officer directly. 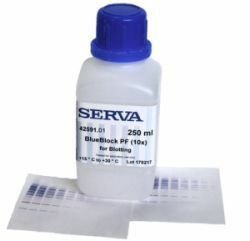 The data protection officer of SERVA Electrophoresis GmbH Mr. Carsten Jockel can be reached at +49 6404 950317 or datenschutzbeauftragter@serva.de.